We can use a cell phone without even holding it by using a device called hands free. This is very useful when a person is performing several tasks like typing in a computer or laptop or cooking etc. This hand free also helps a person who is forced to attend an urgent call while driving. This will avoid accidents. The following are certain factors which should be considered while purchasing hands free. The first thing to be considered while getting hands free is that you will be capable of using the device in your phone. In order to make sure of this it is better to purchase hands free from the same company as that of the mobile. You should enquire the shop keeper whether that particular hands free will match the phone that you are having. And also you should ask them how to work with the mobile after inserting the hands free. The headset is the most usual type of hands free available in the market and this can be attached to the mobile with the help of a cord. But there are different types available nowadays like the Bluetooth which is cordless and it works not only as a hands free. There are many types of headsets available in the market nowadays. Some varies in design while some others vary in their function. With respect to style there are single ear piece and double ear piece types of headsets. And also headsets are available which goes over the head and also behind the neck. And some headsets are worn simply in the ear with a soft hook. With respect to the functions headsets have microphones. In some headsets this microphone is played near the mouth. In certain headsets it is present over earpiece. The Bluetooth is the latest technology among all the technologies in headset. In this Bluetooth technology 2 different appliances are capable of communicating without wires. 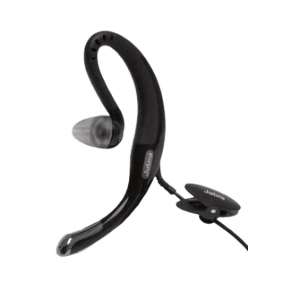 If your mobile is capable of using the Bluetooth technology then you can go for a head set which has the Bluetooth technology. The space between the 2 devices can be up to 30 feet. The quality of sound in the headset is another major factor to be considered. The features to be made note are the cancellation of noise technology and even wind noise resistance. Certain headsets can be connected to 2 different appliances at the same time. This feature will be very useful for persons who are having 2 cell phones and need to connect them with a single headset. Some other feature that we can look for is the voice control range. Lots of headsets have this feature which includes voice dialing, redial of the last number, mute, etc. But all these should be done with the hand. But in the Bluetooth technology the voice is automatically adjusted. So the above details give you ideas of how to select a headset. Hope this has helped you.